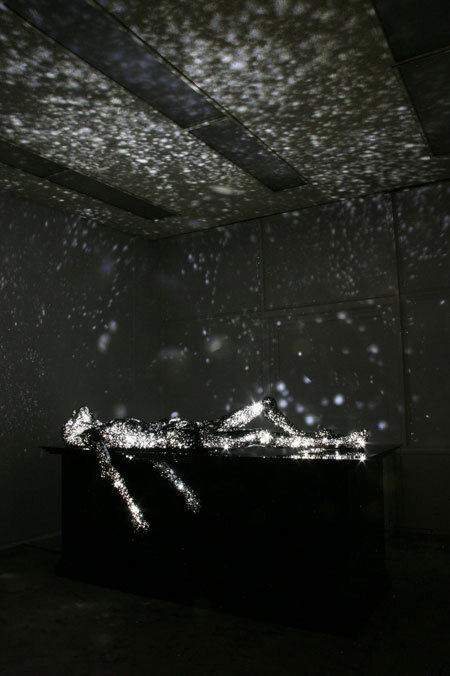 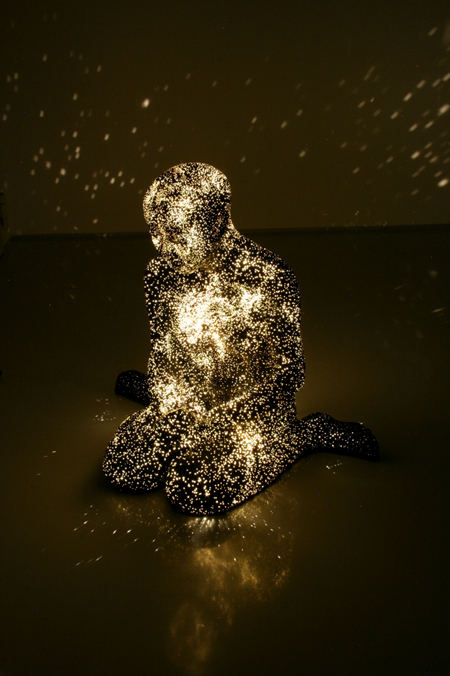 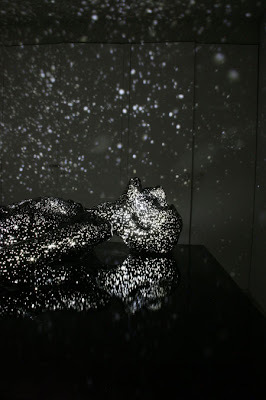 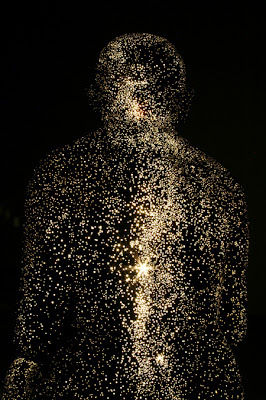 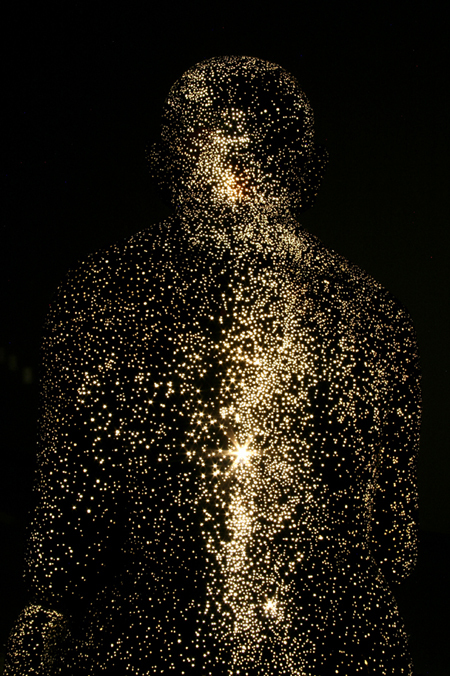 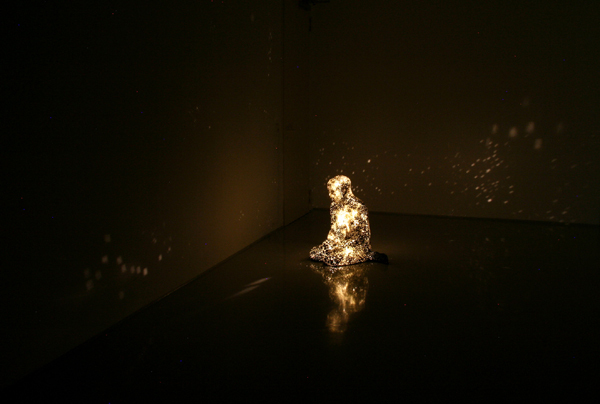 Japanese conceptual artist Mihoko Ogaki's series "Milky Ways--Breath" features fibre-reinforced plastic figures of dying or dead people with entire galaxies or even universes inside them. 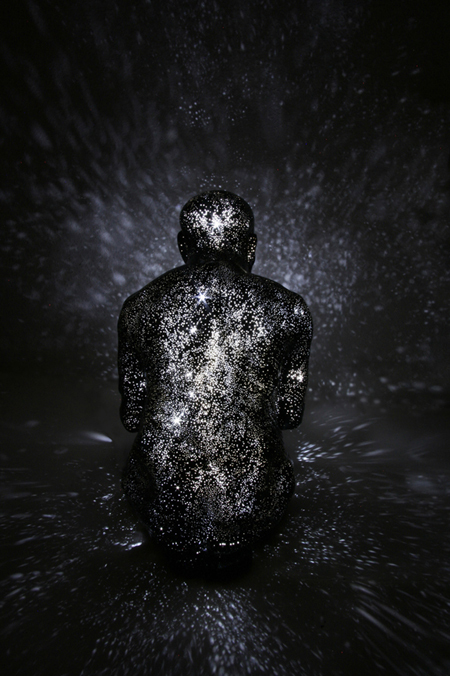 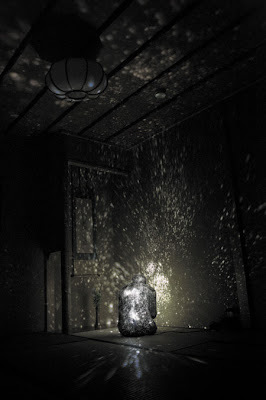 Small holes in the surface of the figure allow star maps to be projected onto the surrounding walls. 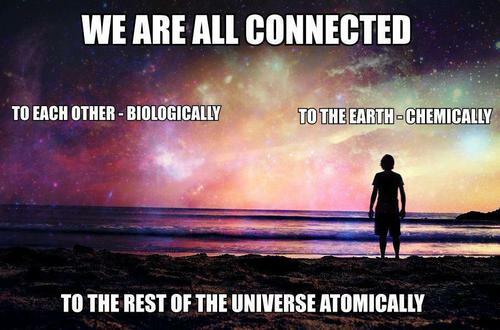 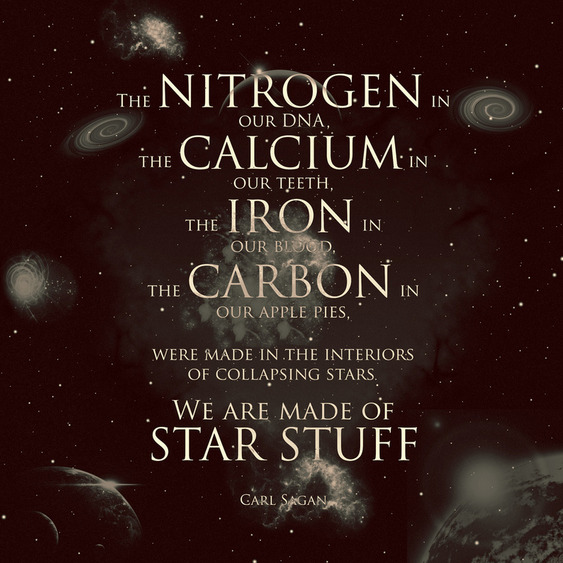 This simple yet profound image is breathtaking in its scope of meaning. The pieces are rife with the ideas of cycles, transformation, transmogrification, macro and micro, and our connection and place in the reality around us. 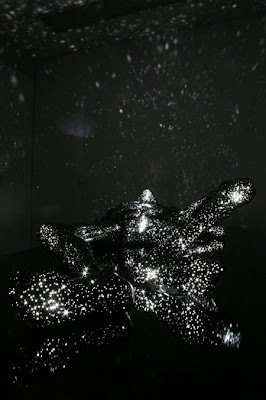 I am sure I have posted these images before, but here they are again because they are so relevant to the art of Ogaki.